In the dreams, I see huge, conical mounds of bright yellow corn; oversize platters piled high with rectangular slabs of cake; tropical fruit cut into delicate cubes and tenderly arranged in tiny glass bowls set on an outdoor shelf for runners in a race. I awake knowing that these are images of offerings. When one receives a gift such as a dream—such as these dreams—what is called for? Over the past eleven years, I have been fortunate to work with traditional indigenous communities in Liberia1, where dreams are considered to be a gift, a precious communication from the Spirit World. The natural response to receiving a gift is to acknowledge the source of that gift, to express gratitude, and to reciprocate. Therefore, in Liberia, and in my community here in the U.S.—where we are seeking to re-learn to live by dreams—we sometimes make offerings in response to significant dreams. We like to go to the river, the ocean, or into the forest to leave nourishment for the animals and animal spirits: water or milk or some other libation poured onto the earth or into the water with fragrant words of gratitude; a glistening slice of honeycomb oozing through a basket woven of fresh rosemary; a poem spoken through tears. There are endless ways to show gratitude, or to notify the Spirits of our heartfelt commitment to live in active alliance with the natural or unseen world. I find it odd that this field of creative expression is seldom spoken of in artistic or spiritual circles. Sometimes Nature responds in tangible ways (though the desire for a response cannot be what motivates us). In Liberia, when we were told that elephants were a sign that peace was coming, we offered mounds of favorite elephant foods in the forest surrounding certain villages: corn, squash, bananas, and rice. 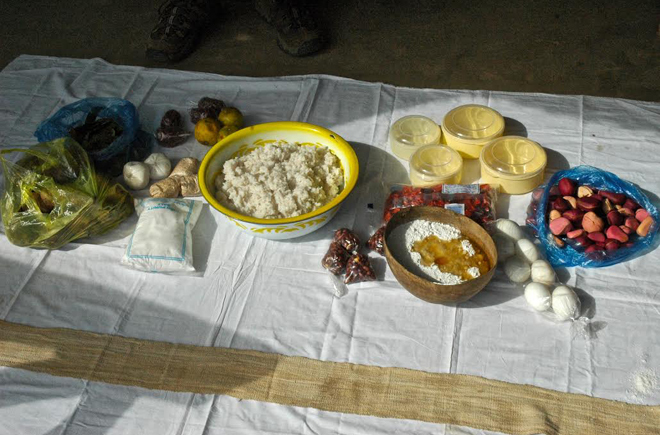 Two months later, real forest elephants came to the villages where these offerings had been made. In one, the entire village turned out to tell us that since the appearance of the elephants, no poisonous insects or snakes had troubled them. In response, the elders went to the outskirts of the village, stood in the forest and read aloud to the elephants from the Koran. 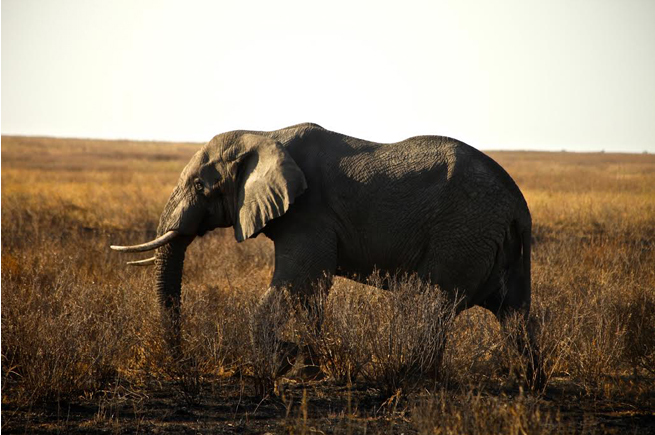 In that same village, a widow came upon a massive bull elephant in her meager garden. His trunk was wrapped around a cassava vine, ready to pull it up. In spite of the danger posed by standing face to face with a hungry, wild elephant, the widow stood her ground and spoke to him out loud: “I am a lady, and I have no husband to provide for me and my children. We are hungry. Please, be sorry for us and leave us at least one cassava to eat.” The elephant gently removed his trunk from the vine and ambled away. In 2004, shortly after the end of the Liberian civil war, after a huge community Mourning Feast that had suggested itself in dreams, a small circle of diviners informed us that more offerings were required. After fifteen years of war and neglect, the Spirits were hungry. 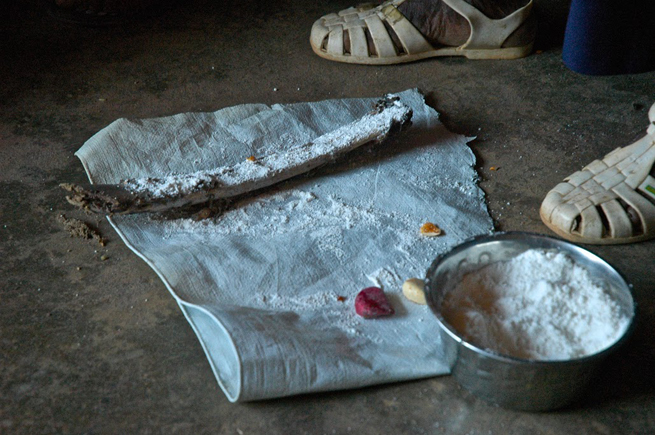 The diviners gathered rice flour, eggs, kola nuts, and shells and we went with them to the banks of the Lofa River, and then into the forest. Laughing and singing, the offerings were lavishly shared. In the forest, the ceremony began at a huge termite mound, recognized, like double-trunked trees, as one of the many homes of the spirits. 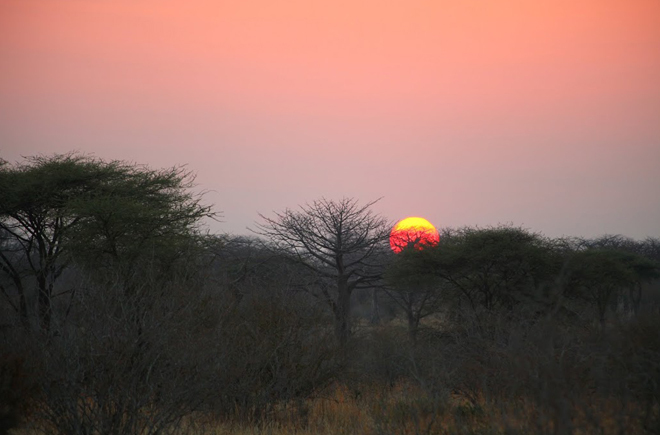 When we returned to the termite mound a couple of hours later, we found it covered in white chalk dust. Our western minds reeled. This experience and others like it awoke in me a hunger for the magic of a felt connection to the Invisible. The consensual reality of the west, and the structures that support it (cities, cars, houses, jobs, schools, churches, etc. ), seem designed to keep the Life Force contained and, therefore, separate from our daily focus on things and results, and to reinforce the illusion that humans are in control. Prayers are uttered, blessings are wished for, Magic is invited in – but always with the expectation that Magic will come to us. To make an offering is to deliberately extend our hand toward the Other World, so that Mystery can reach out and touch us in return. In opening the hand to make an offering, the language of Magic runs from our fingertips into other dimensions to establish an authentic, lived connection with the Other World in order to express appreciation to Life for life. Making an offering is a radical act of beauty in response to a suicidally disconnected culture. To live in a world of offerings is to invite a reciprocal relationship to that which sustains us, enlivening that connection because gratitude so quickly becomes specific and, therefore, palpable, revealing its anchors in the experience of the moment: Oh, that intake of moist air filling my lungs! That wave curling! That hummingbird! Those geese! This soft shawl around my shoulders! Making offerings is a way of being present, and one of the more useful responses to wonderment. A relationship based on offerings is a real relationship because it requires attention, humility, intimacy, dialogue, awareness and reciprocity. Making offerings keep me sane. One of my favorite practices is to make a small Ancestor Plate at the end of the day, with scrumptious bits of the meal I am about to eat, and set it outside in the corner of the deck before dinner. The Ancestors’ Emissary seems to be the little silver fox who lives in the field next door, and takes shelter from the rain in the culvert at the end of the driveway. She cleans the plate and leaves a tiny fox-poop next to it. Once, as we sat up late talking by candlelight, she stood on her hind legs at the living room window and gazed in at us. I pour milk into the ocean with the thought: may this milk feed all the life in the sea. For that moment I am the primal mother releasing primal nourishment. As the liquid arc flows from my hand, it becomes a tiny bridge of protection and for that instant all creatures are safe and loved. As I place an egg in a stream I am entrusting the possibility of new life into the tumbling flow that dances fresh and cool over the mossy stones. It is a sunny day in January. I remove my shoes, roll up my jeans and step barefoot into the icy water. I can barely keep my balance. My feet are numb and the stones are so slippery. But I cannot hold onto an overhanging branch or reach into the stream to steady myself on a rock because I have an egg in each hand that must be protected at all costs. On the sacred mountain I come upon a cache of plastic water bottles. The elephants have told me that they are thirsty. I pour water on parched ground, becoming rain. Later, I learn that at the base of the mountain, at the exact same moment, my friend has also poured water for the elephants. That afternoon, we watch as the cloudless sky darkens and rain comes in person. My friend Alex once said that the act of making an offering creates a tangible edge, a threshold across which one can enter into dialogue with the Source. I like to conjure the image of that threshold: a luminous oval platform floating in space above my head and a bit to the right, in a dimension right next to this one, pressing close, always available. In Permaculture, edges are known to be especially fertile. Perhaps this holds true at the edge between the Spirit World and the tangible one as well. In Nature as in human society, the edges are where the action is. Think of a cut, a scab or a bruise: the outside edges heal first and then the healing moves slowly toward the center. In Nature, the edges where different ecosystems meet (riverbanks, edges between field and forest, ocean and shore) are more fertile and have higher concentrations and diversity of insects, plants and animal species. Crops planted in fields at these edges are dramatically more productive than those planted in other areas. By observing these natural processes we can see that edges and ‘edgewalkers’ have a special role to play in restoration and healing. Offerings are healing dialogues that take place at the edge. We say that a soldier who dies has made the ‘ultimate sacrifice’. But if that death is without clear intention, what is the message to the Other World? To shed blood mindlessly, with nothing more than terror or hatred in one’s heart, creates confusion at best. Little wonder, then, that we are beset by such a massive spiral of death in response to our heedless ways. To squander Earth’s gifts is an active insult. It creates chaos. And yet the living world continues to be generous. For me, this generosity is an expression of the original order of things and making offerings is a way to show gratitude for the fact that, in spite of everything, there are fragments of intactness glistening amid the wreckage wrought by hierarchical, linear western thinking. When I am connected to the Holy, when I can see that the world around me shimmers with aliveness, I am of it. There is no room for thoughts of grandiosity, or for self-doubt. Making offerings is my way of reaching for that zing of reassurance that can only come from the prickling, soothing excitement of humble belonging to something so reassuringly vast. As a woman—a Jewish woman—making offerings is one of the ways I participate in reassembling the jagged shards of the shattered bowl of the world. Waking before dawn I sleepily look for the first shapes to emerge at the far end of the garden. The light before the light arrives on a palette of beiges and grays. Then I see the silhouette of the giant Eucalyptus tree. I wrap a blanket around my shoulders, put on my slippers and call the dog. No lights on yet, that would break the spell. I fill the kettle and hear its first drowsy hiss. I catch myself thinking there might be time to make tea and carry a steaming cup out with me to greet the sun. No! Mustn’t get distracted. I watch for the suggestion of pink above the horizon. The dawn comes quickly and I don’t want to miss it. Slowly, I hurry to the tree. I am excited. Like a puppy. Like a birthday girl. Like a woman acquitted of yesterday’s sadness for the breaking world. For this moment, before the tea, before the headlines, the light is fresh. When it suddenly blooms, so golden against the tree trunk, I gasp. It takes me by surprise every time—as it should. The chilled air curls around my neck and wraps around my ankles as the dark ground releases its last shadows. And then suddenly there is warmth on my eyelids as I squint towards the East. A faint warmth on my chest as I gratefully inhale. Warmth on my lips as I smile and say, Thank you for this day, and mean it. Imagine! A chance to feed the sun! What an outrageous honor! I reach my hand into the sack of cornmeal and pull out a fistful. It feels powdery and cool in my tingling palm. I stand with my outstretched arm suspended between earth and sky. The gray-blue grains sift through my fingers into the light and are gone. Cynthia Travis - is a writer and documentary filmmaker, and is Founder & President of the non–profit peacebuilding organization everyday gandhis (www.everydaygandhis.org). Since 2004, peacebuilders from everyday gandhis have been working with traditional communities, women and ex-combatants in Liberia, West Africa, and with selected schools and communities in the US. All projects arise from dreams and community dialogue. She recently launched the new blog, Borders and Edges (www.borders-and-edges.blogspot.com). In a former life she was a teacher and mediation trainer for children in California and New Mexico. She lives in a small intentional community on the Mendocino Coast.